A jewel is more than an arrangement of precious stones – it is a story. This is the principle on which Vincent Meylan, author of ‘Christie’s: The Jewellery Archives Revealed, Boucheron: The Secret Archives, Van Cleef & Arpels: Treasures and Legends’, and ‘Mellerio: Jewellers to the Queens of Europe’, has written his latest book. Now, with unparalleled access to the Bulgari archives, Meylan guides us on an intimate journey through the lives of the clients, both famous and infamous, who have given this pre-eminent Mediterranean jeweller their patronage. 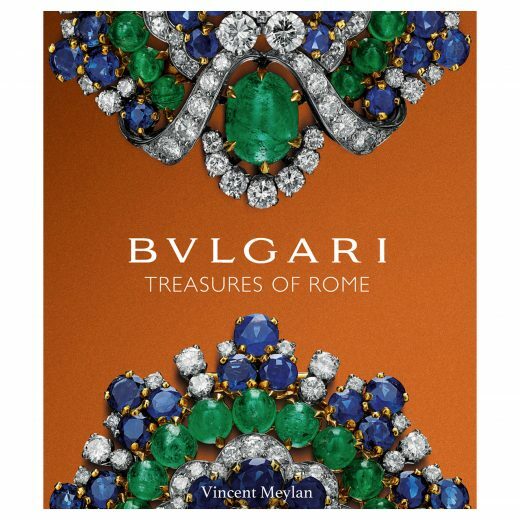 Paris may be the traditional home of the jeweller elite, but Bulgari embraces its Roman origins. From their early creations, inspired by Byzantine and Islamic architecture, to designs like the ‘Trombino’ ring and ‘Serpenti’ bracelets, which are still relevant today, Bulgari gracefully navigates the line between contemporary and timeless.